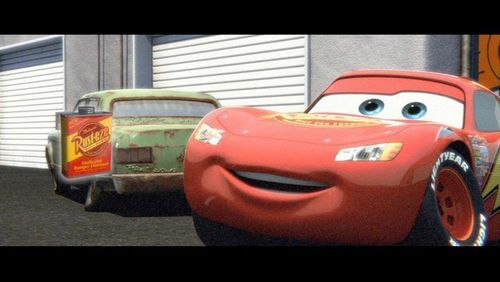 The Rust-eze star, sterne. . HD Wallpaper and background images in the Disney Males club tagged: disney animated movie males pixar cars lightning mcqueen rust-eze star. This Disney Males photo might contain stock-car, lagerwagen, stockcar, and autorennen.